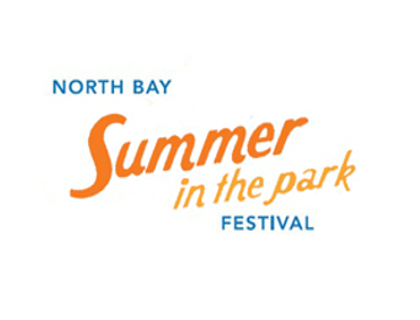 NORTH BAY — The Summer in the Park committee are proud to announce this year’s line-up. Headlining Friday night will be the fan-favourite band Trooper. Formed in 1975, Trooper had several hit songs in the 1970s, which makes them “pretty much perfect” for Summer in the Park. Saturday will see a number of local acts take the stage, including Powassan’s hick-hop band The Moostresses, Sudbury’s folkronica group Trumpet Wench, and finally North Bay’s own Al McDonald and the Cancellers. The last hour of the show will be karaoke hour, with audience members invited on stage to sing their favourites alongside Al McDonald. Other Summer in the Park acts include little-known 70s band The Wackers and French-Canadian Thin Lizzy tribute band Le Fleur De Liz. Weekend wristbands are $50 and go on sale next month at City Hall, the Capitol Centre Box Office, the North Bay & District Chamber of Commerce, TD Bank, Canadian Tire, and at the Clarion Resort Pinewood Park.